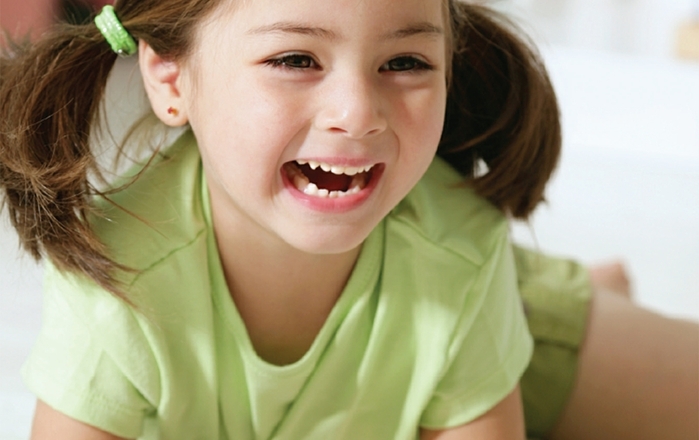 According to a recent survey by the Annie E. Casey Foundation, New Mexico ranks dead last in overall child well-being. 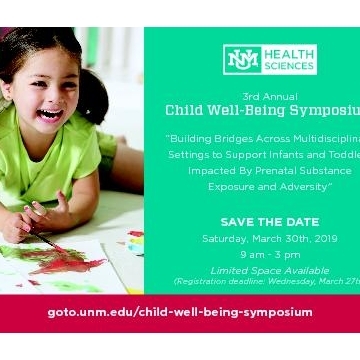 Next week, local and national health professionals will convene in Albuquerque to discuss ways to try to boost our kids out of the doldrums. 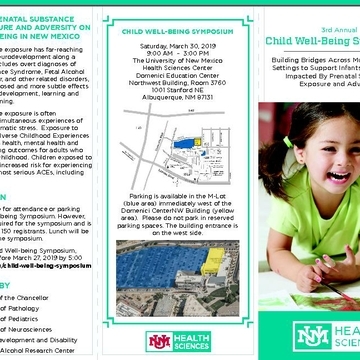 On Saturday, March 30, from 9 a.m. to 3 p.m., The University of New Mexico Health Sciences Center will host the third annual Child Well-Being Symposium. The theme for this year’s event is “Building Bridges Across Multidisciplinary Settings to Support Infants and Toddlers Impacted by Prenatal Substance Exposure and Adversity,” and will feature numerous lectures and panel discussions. 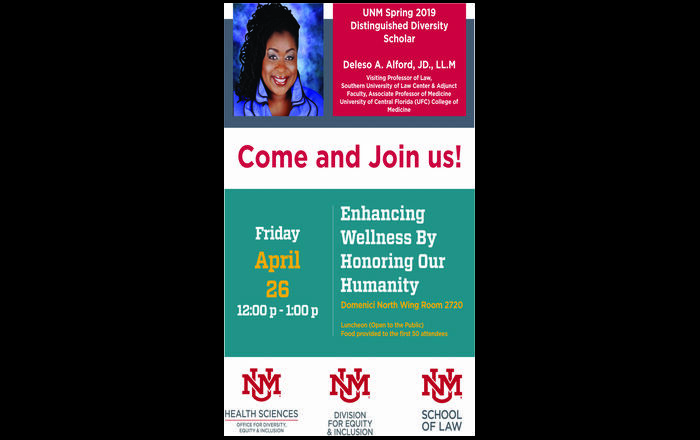 The third annual Child Well-Being Symposium is scheduled to take place from 9 a.m. to 3 p.m. Saturday, March 30, 2019, at Domenici Education Center, Northwest Building, Room 3760, located at 1001 Stanford Drive NE. Registration is currently available online until 5 p.m. Wednesday, March 27. Admission is free. For more information, check out the flier for this year’s event.